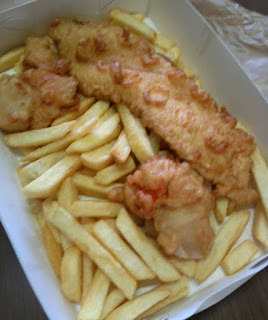 We've grabbed take away fish and chips from Fish Bits in Trafalgar a few times. 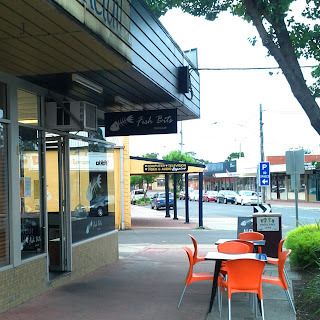 It's a block or so away from the pub on Contingent Street, and does have a few tables inside and out, but I don't think I've ever seen people eating in. The flake, minimum chips and two scallops were all fine. The batter on the fish was a little on the soft side once we got it home, but fish itself was moist and flavorsome. The scallops always go down well and chips do the job. The meal came to just under $20 with some grilled fish too. The service is prompt and the quality is consistent, so we'll probably go back if we fancy fish and chips while in the area.